A touring production of a new play ‘This May Hurt A Bit’ comes to Oxford with high expectations as it is performed at a time when a few hospitals face closure. The timeless feeling of ill health is reinforced by the surreal entrances of politicians from the year the NHS was founded stepping into and out of the present day action. A stroke victim sits in a wheelchair waiting to be fed whilst a corpse awaits collection in this fictitious hospital. There is so much that needs to be done on this fictitious ward where events are reminiscent of recent news stories. The pain of failing is held in the sterile air by the threat of insufficient human resources being supplied. The cast play multiple roles showing how everyone needs to be equal if a benevolent system is to work, unlike the philosophy of the big businesses that were brought in to modernise UK hospitals in 1990’s. A positive collaboration takes heart and the two companies involved in producing Stella Feehily’s vibrant new play (Out of Joint and Octagon Theatre Bolton) refract life through a prism that reveals large and small worlds. High-powered Westminster politicians evolve from the same ensemble as a vulnerable old lady with transient memory loss (played by the charismatic Stephanie Cole). The old lady’s sixty-something son, newly fired from his vocational teaching job, searches a diagnosis for his prostate pain as the narrative follows his journey through hospital red tape (played with sensitivity by Brian Protheroe). He struggles to get his appointment. Whatever your politics, this play is a stark reminder that the people who need care the most are the least best placed to fight for it. A graph is shown of levels of private investment into state run hospitals and the obvious lack of profit shows. This play is fiction but under Max Stafford-Clark’s detailed direction, reflects much of life in showing that love is the best market. The overworked nurse does much healing by offering a patient a hug. The NHS is what it is. This entry was posted in Art & Theatre Reviews and tagged awards, Bolton, Brian Protheroe, DPChallenge, NHS, Octagon Theatre, Oxford Playhouse, Stephanie Cole, Weekly Writing Challenge. Bookmark the permalink. Thank you, Lita, for including me in your list of bloggers. What a great surprise. I really respect and admire you work and look forward to getting to know at lease some of these talented bloggers you have highlighted. I will past along the award soon. Great to hear from you Carrie. I enjoy visiting your site. The intricate details you infuse each post with are to be applauded. Looking forward to reading more of your work. Well done, Lita. And the play sounds good. Ireland’s health system is in tatters also, unless one has the loot to go private. Oh heck. It seems loot is largely the answer. Or just not being ill! I just hope some one with a magic wand can fix it. I had a great time catching your recent posts in my reader. The stories take me to places I may not visit but would love to find and from your succinct words shines the strong Celtic spirit. Happy weekend! Superbly written account of the production, “This May Hurt a Bit”. The US is experiencing the implementation of a health care overhaul, with multiple glitches to say the least. We have seemed to overlook the patient, while looking for revenue instead. It is a “stark reminder”, voices of the bodies in need are often the voices not heard, so true. You have also included in your post, a beautiful thank you to, “alifemoment” for awarding you with the Beautiful Blogger Award, as well as a charming presentation of your nominees. I am truly honored to have you look my way, and recognize my efforts with an award nomination. I enjoy seeing your “likes”, as well as your “comments”, that is the most flattering and gratifying to me. Thank you again, I appreciated your kindness as well as your understanding that I may opt out and not participate. 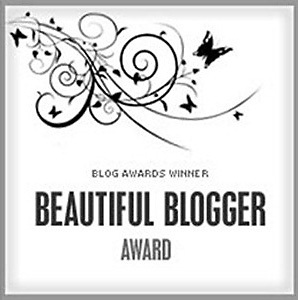 Congratulations on receiving the Beautiful Blogger Award, most well deserved! Thank you Pepper for sharing this insight. It seems the stakes are the same regarding health care on each side of the pond. Fingers crossed the story has a happy ending! I continue to celebrate your superb poetry that I enjoy finding in my reader. There is so much beauty in your expression. Here’s to you! Thank you so much Cindi. Some of the scenes in the play broke my heart (I think they were designed to.) and so it brought this message home for me. This was my strongest sentiment, thanks for highlighting it. I haven’t stopped thinking about the show since. I am looking forward to my next visit to your graceful blog. The sculpture highlighted in your recent post is deeply resonant. All my good wishes to you. Hope your weekend is a lovely one! Hey Lita congratulations on the award. You are indeed beautiful blogger ! Aww thank you!!!! I have just had a blast enjoying your latest post. You have a great eye for putting together animated clips to make a complete picture. You have an instinct for what is entertaining. Your blog is a great place to hang out on the weekend! Much love back! 😀 Here’s to happy WP family! And nicely written on the description of the play. It is a stark eye-opener on the state of healthcare and generally health these days. From where I am Malaysia, healthcare is a business. To a point that I’ve heard terrible stories of doctors not treating patients properly so that they have returning patients just to get more money in. Government hospitals do help, but they are always overcrowded. Of course, there are good doctors out there most definitely. But they are too few. There are too little angel hands in our world. My family, especially my father, has sworn not to rely on medical care but instead divert to more holistic and natural approaches. I love your description ‘There are too little angel hands in our world.’ I have my fingers crossed that there are more soon! When healthcare becomes a business I can see that it does alter how the system works. Thank goodness there are at least some Government hospitals available. I agree, holistic health can achieve amazing results for some people, Recently I have seen more osteopaths and herbalists open up businesses locally, one has a flotation tank which is popular. I value your comment so much. Thank you also for sharing on your blog insights about social media technique. I enjoy your well written posts very much. Greed has no place in the scales where human lives are placed on one end. Only love, compassion and dedication to saving lives belong alongside it. There’s no price for human lives. Alternative medicine is something that has actually existed for some time, its knowledge practiced by our ancestors before. The issue with modern medicine is that it tends to take on the methodology of clearing the symptoms rather than the source of the problem. It doesn’t help that modern medicine is a huge business and anything that threatens to surpass it is put down. But that said, there are some things that modern medicine excels above traditional medicine. It’s a balance game and two sides of the same coin. There must be an acceptance and harmony of both methods. And also, thank you for your kind words. Congratulations on your award. That play depicts a lot of what goes on in the Caribbean, its surprising though that it happens in the UK. Thank you for sharing this insight. It is sad to watch this change progress when the majority of people do not want NHS to shrink. I did not realise the Caribbean faces similar issues. One day hopefully I will! I play the lotto (fingers crossed). Thank you so much. The show had a high impact factor. There were blasts of industrial style music between scene changes that kept the vibe going. Your inspiring blog sets me up for the week ahead with a positive perspective. Here’s to a happy (healthy!) Monday! From your photo of Oxford (almost “in June”!) to your sensory description of your walk home, this blog of yours’ is why I read blogs at all. Thanks so much for taking us with you everywhere, and for sharing your unique, insightful thoughts with us! What a lovely comment! 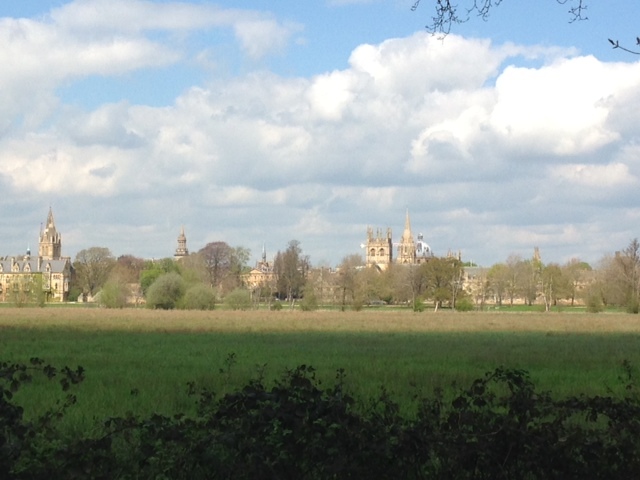 It was a beautiful day and I took it from Christ Church Meadows which is South of the city and closer to the river. It had been waterlogged with floods just a month ago. It’s a pleasure to take the blogging world wherever I go. Thank you so much for sharing the experiences you have encountered in your posts. This is a great way to take a peak into new adventures. Congrats on your award! Your blog is indeed beautiful! Speaks volumes about the beautiful you. This whole scenario of the play that you beautifully described above is just saddening. I believe similar things happen in other sectors of society — the injustices done and how people turn a blind eye on what’s really happening. It’s a good wake-up call for all of us today. I hope that the “key people” will find it in their hearts to do something about this issue. Thank you for this gorgeous comment! I have had a brilliant time discovering your superb blog today. I love finding inspiring writing and there is so much to enjoy on your site. One thing the play told me was that as politicians have short periods in government there is no continuity in policy which in itself creates a disjointed process. I do hope that some key people somewhere do the right thing. There are still excellent services in place that are worth fighting for and currently we do not pay for them (except by tax!). Thanks for the kind words. Glad you enjoyed my posts. Toodle-oo for now. 🙂 Blessings! Thank you so very much for including me in your list of bloggers. I have just started blogging and am very appreciative of the exposure. I am also glad that it introduced me to your blog. I have enjoyed reading your posts. It’s great to hear from you. Your blog is going to show me around America in a unique way so I am thrilled to subscribe. Looking forward to your next adventure. Congrats on the award, dear Lita. And sorry to so late getting here. I’m trying to catch up, as we’ve had friends visiting from the US. I’ve hardly had time to turn on my computer. Hope you are well, my friend. Thank you for such a lovely comment. Great to hear you are having a lovely time of it. Oxford has been going bananas celebrating May Day, with a Morris Dancing festival so lots bells ringing! It was so enlightening to read about your Creative Arts workshop in Cuenca and see the creative process in the photographs. I can’t wait to enjoy your next post. Happy days! Great post! I would love to see that play. It makes me wish I lived closer to you. I had almost forgotten how much I loved theater before I started reading your blog. I love how you said, “Whatever your politics, this play is a stark reminder that the people who need care the most are the least best placed to fight for it.” I couldn’t agree more! I love it when I share favourite blogs with other bloggers! Although it’s fab to spot a new favourite too! Thank you for this beautiful comment. This play is on it’s way to London now where I’m sure it’s going to find new fans. It has stuck with me – it was so visual. It’s such a thrill to share the experience of it and revisit the power of the show in your insightful comment. I hope a lot of things change, at least knowing the problems is a start!!! Hey there! I just want to give you a huge thumbs up for the great info you have here on this post. Thank you for such kind words. Looking forward to reading more of your work too.